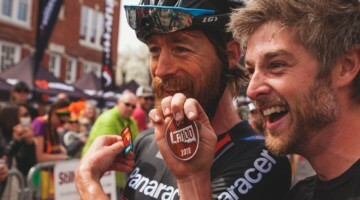 The last time we caught up with Michael van den Ham (Red Truck/Garneau p/b Easton), was after a hard-fought performance where his result didn’t quite live up to his effort put forth. Since then, he’s began to see more success in European races, and in this rider diary, he talks about the high level of racing in Belgium both from the top pros and the amateurs, an experiencing the new feeling that he actually belongs in the races. Racing in Europe is hard. It’s hard for lots of reasons. The courses are different, the style of racing is different, the fans are different, and the whole atmosphere of the sport is, well, different. For years I’ve raced just about everywhere in North America. While the courses and the quality of the racers are different in each place, I can look at the race and say “I belong on the podium”, or “I belong in the top-10”. Because I’ve raced the majority of these people time and time again, I know where I should be and, with that, know that I can push myself hard enough to get to that place. That level of comfort completely went away in Europe. We have, or at least I had, this perception of cyclocross in Europe that just about everyone there is better than just about everyone at home. For the first few weekends I would line up at the back of the race and unconsciously relegate myself to staying right there, at the back of the race. Without ever admitting it, I saw these famous courses as so far beyond my own abilities and because of that, that’s exactly what they became. With this mentality cemented in my unconscious, the first few weekends of racing were tough. 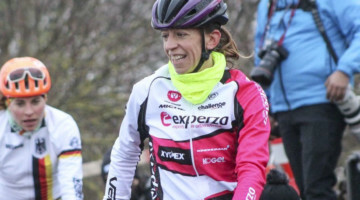 Even if I had a good start and was racing with some of the Belgian riders, I didn’t believe that was where I belonged. I was waiting to be dropped and unsurprisingly the second things got hard that is exactly what happened. It didn’t matter how fit I was because my physical performance was being constrained by my mental. 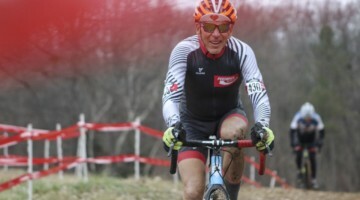 This began to change when I did a Belgian B-race a couple weekends ago. B-races are basically what all of the Belgian riders who don’t have professional contracts race. 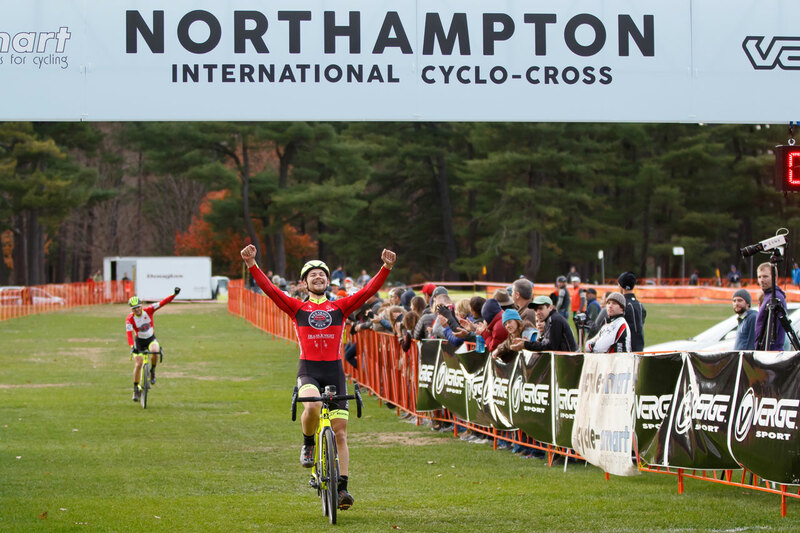 They are local races, but local races with the field quality and production value of just about any UCI race in North America. Some of the top racers at these races also do the big UCI races and typically finish somewhere in the high teens to low 20s and on the lead lap; exactly where I was hoping that I would be finishing at those same races. 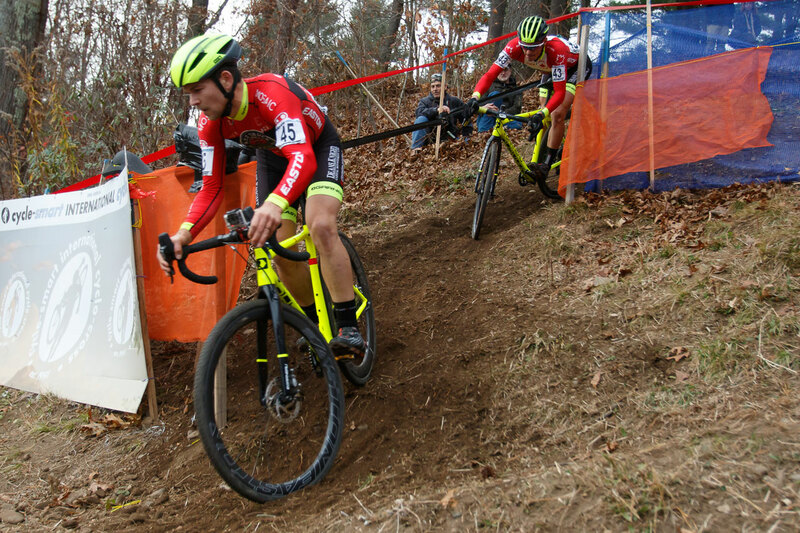 The B-race didn’t go perfectly by any means, but I managed to ride to sixth place despite starting in the back row. For the first time since I’d been here, I felt like I was racing. As I moved through the field, I was able to push myself beyond what I’d been able to do in the weeks previous simply because there was always another group just ahead giving me a reason to keep on it for the full race. More importantly, I realized that I belonged here; realized that maybe I wasn’t so out of my league after all. If I could race with the best amateurs in Belgian at a B-race, there was no reason why I couldn’t be competitive with those same racers at one of the big UCI events. Even though I’m not there with the top end of the field just yet, I began to realize that I still belong on the start line with them. Maybe it shouldn’t be surprising, but this made all the difference for me. After weeks of slogging through the Belgian mud at the back of the field, I realized on the start line of Essen that I was lining up beside people I had raced only a week prior; I was racing against people I could beat. At the end of the day, I had finally landed a result I was proud of, 25th and on the lead lap. The next day in Overijse was much the same: 23rd and one lap down. I’m not delusional enough to think that I’m going to be happy with every race from now on in, but now I know where I belong and where I’m capable of racing. For me, that makes all the difference. 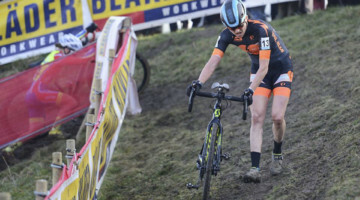 Michael van den Ham is a Canadian ‘cross racer who recently relocated to Belgium to prepare for competing at the World Championships in Zolder. You can follow all his season on Instagram or Twitter @MVDHcyclocross or on his website. Michael is also selling T-Shirts and caps through his online store to help offset costs for the trip.